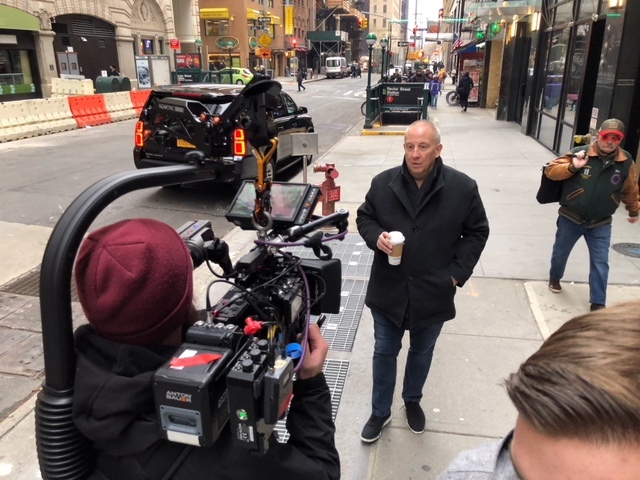 Salem Radio Network talk host Mike Gallagher hit the chilly streets of New York City Monday with a film crew from LifeLock™, the identity theft prevention company and a major radio advertiser. The media team—which also recorded in Gallagher’s studio at Salem’s AM 970 The ANSWER—is creating commercial videos based on Gallagher’s late 2018 brush with identity theft. (Someone accessed Mike’s personal information, changed his cellphone number, and even tried withdrawing $25,000 from Gallagher’s checking account.) Mike credits LifeLock™ with alerting him to the compromises and acting to protect his personal assets.